When we go to developing countries, we expect to find the worst forms of poverty, in my experience, I found the BEST part of Human Nature. I have been volunteering with Operation Walk for the last 3 years. I am proud to say I have been heavily involved in the setting up of Operation Walk Ireland. Below is my story ovedr the past three years. The above statement sums up the feelings I experienced after I returned from Hanoi, Vietnam after assisting the American Operation Walk Team; “Operation Walk Chicago”. 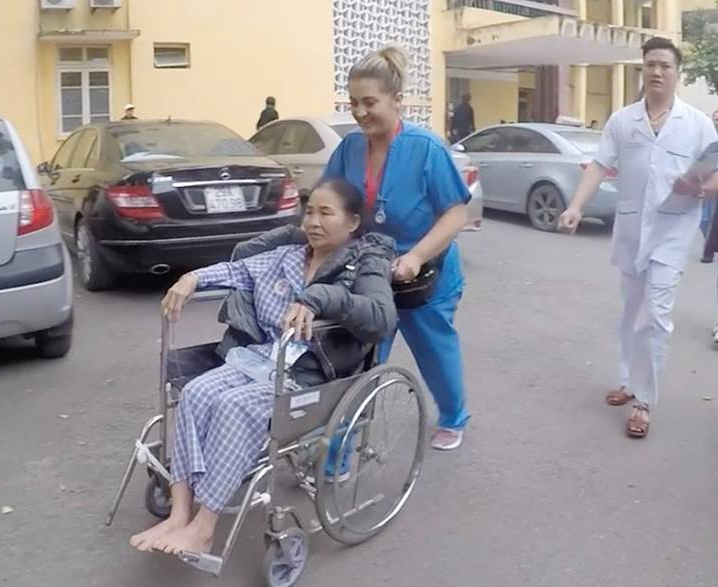 During that brief mission in 2016 we provided almost 60 joint replacements to the Vietnamese people in Military Hospital 108. They had no English but the gratitude in the face of the patients and their families is something I will carry with me for the rest of my life. While it is not life-saving surgery we perform, it is most certainly life-changing for the patients. Getting either their hip joint or knee joint replaced means that they can walk again, pain free, and for some it means that they can finally work again. 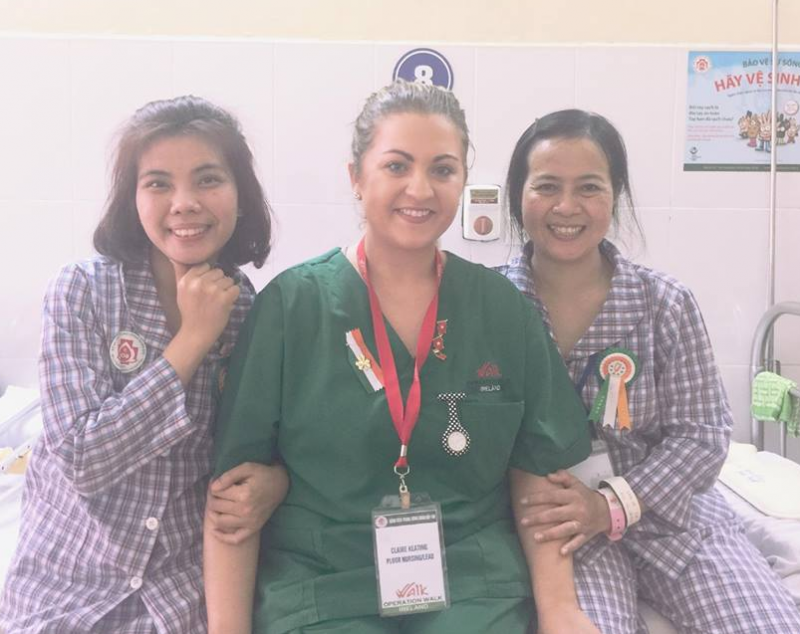 In April 2017, we organised the first ever Operation Walk Ireland mission to continue the work started in Hanoi by the Operation Walk Chicago mission. On this mission I recruited all volunteers and liaised with Vietnamese representatives to ensure all travel, visas, accommodation, etc were in place for a smooth mission. In March 2018, Operation Walk Ireland travelled back to Hospital 108 again with an international team; over 60 personal gathered from Ireland. Again, I lead out on HR, taking on the role of Recruiting personnel and organising the travel, visas, accommodation, etc. 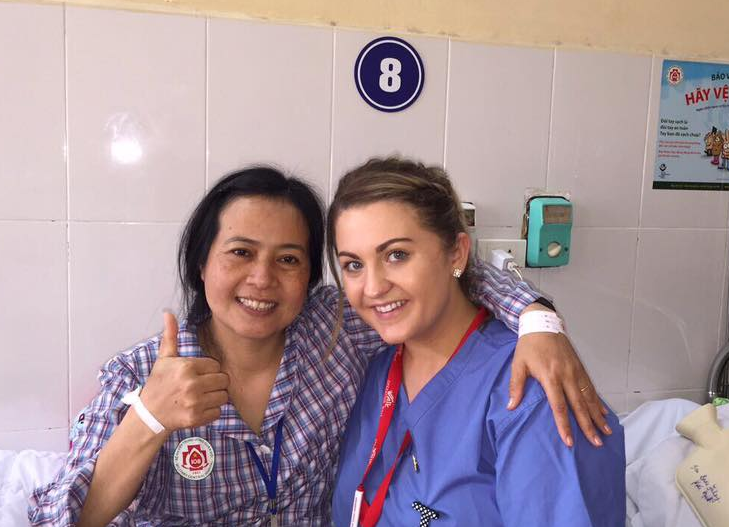 I also Lead out the floor being lead Floor Nurse (alongside Niamh Laffey Flynn). We performed 60 joint replacement operations on this very successful Mission. We also built up relations with the Vietnamese Nurses, doctors and Surgeons. Them learning from us and us learning from them in return. In March 2019, I will be setting off again to Hospital 108, Hanoi.At the moment, I have recruited over 130 personal for a back to back Mission this year. I am in the process of getting Visas and flights organized for these Two Missions. 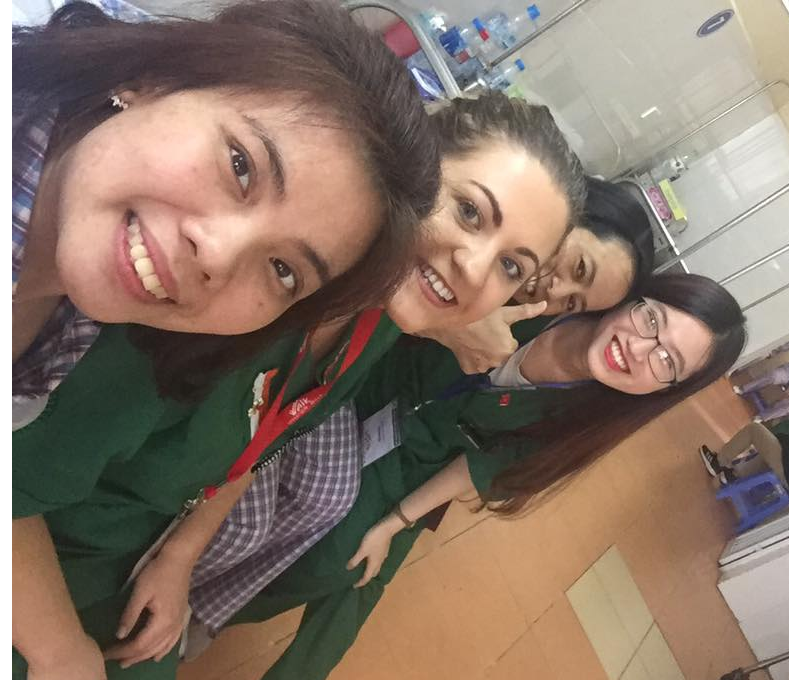 This year, we aim on educating our vietnamese collegues on our experiences from Ireland. I look forward to sharing my story, as always on our Facebook page- Operation Walk Ireland and my own personal FB page. To guarantee my participation on the mission, I am looking for help to hit my fundraising target of €1,500. This covers Flights and accomodation. I would be very grateful if you could donate towards this- every little helps! !